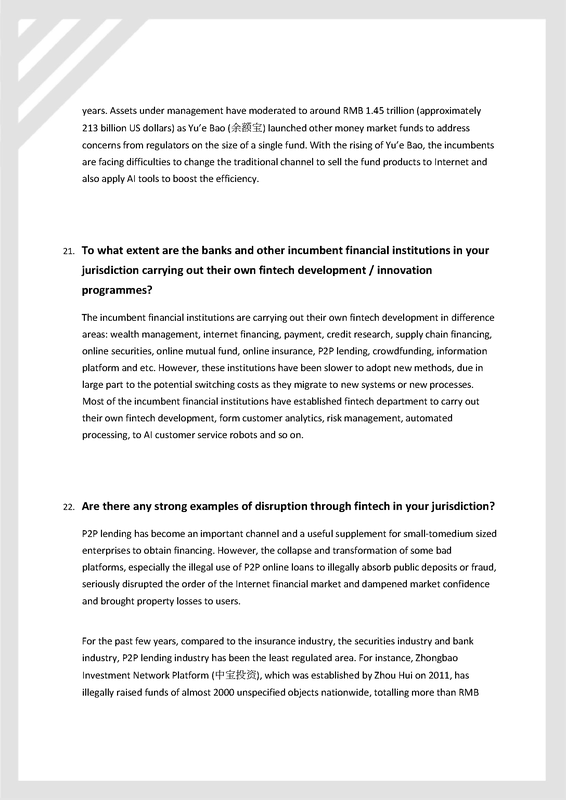 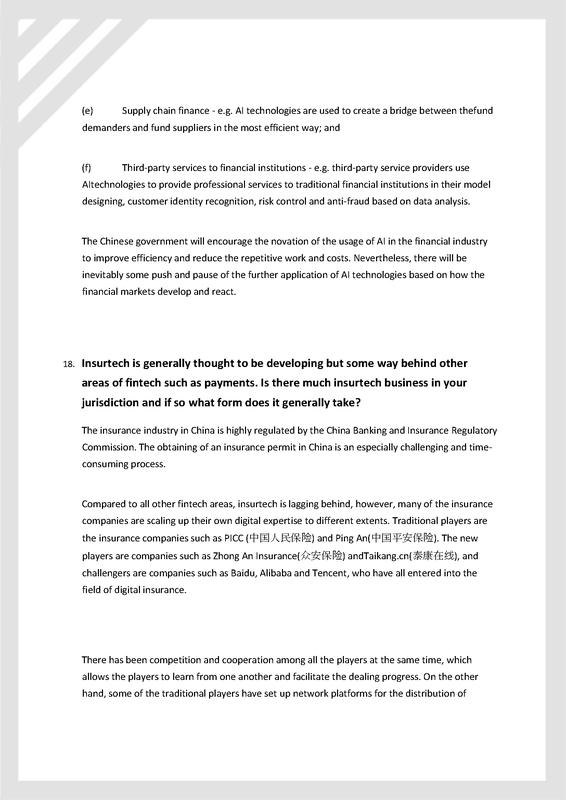 Global Law Office was invited by The Legal 500 and In-House Lawyer to write a Q&A for the China chapter for their 2018 Fintech Q&A. 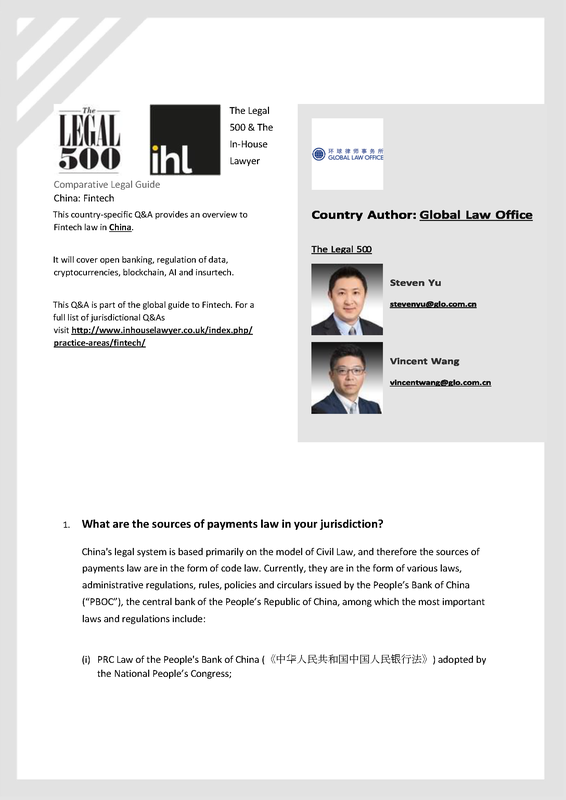 For chapter of each jurisdiction, they select the top-tier law firm ranked within The Legal 500. 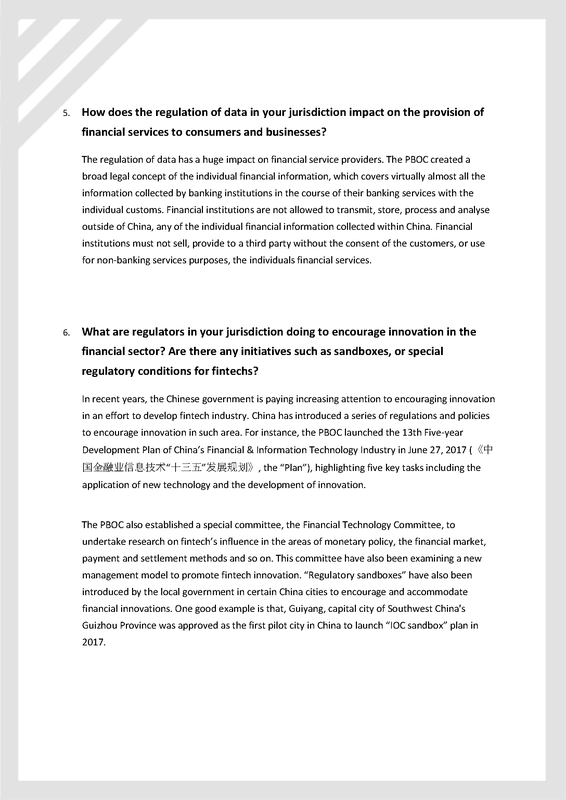 Global Law Office’s Chapter provides overview information about legal and regulatory aspects of the fintech development in China, covering issues such as payment methods, cryptocurrencies, IP and data protection, blockchain, AI applying and insurtech, as well as the authors’ observation in respect of the recent market practice of relevant industrial players in China.